CAOTICA - What is Conflict Coaching? A new form of support for resolving conflict. Click Here to open CAOTICA in your browser. CAOS runs Conflict Coaching Introductory 'Taster' days and 4 day Conflict Coaching Training Courses throughout the year - click the link to find out more. "I have shifted from seeing conflict as stressful to it being an experience about which I can control my own feelings......Now I feel what is more important is to see how I relate to myself from within and from outside of (looking in on) a conflict." "I've managed to stand back from direct involvement. I'm beginning to recognise opening signs of being drawn into conflict. I recognise there is an option not to be 'wound up'. CAOS also runs Mediation Training Courses with experienced Mediator Trainers providing the training. All the time we wait for others to change, we remain frustrated, outraged, stressed, depressed - and we render ourselves powerless. 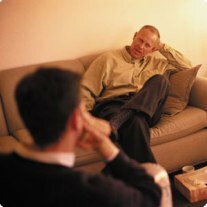 Conflict Coaching offers people the opportunity to question and possibly change their responses to, or their views and beliefs about a situation. This is not to remain 'passive' in the face of unacceptable behaviour, it is to find a way of supporting ourselves first in order that we can respond more effectively to the behaviour we find unacceptable or to find a different way of seeing the situation if we feel unable to do anything to change it. Through creating different responses or perspectives we give ourselves a choice, and having choices, created by ourselves, leads to empowerment. CAOS Conflict Management will be running Conflict Coaching Training Courses in 2012. The CAOS Conflict Coaching model was developed over a period of 2 years with clients from all across London bringing a range of unresolved personal conflicts within their families,or at work or in their community, to the coaching sessions. The foundations of the process are based on the Principles of mediation. Our training has already been used to train Conflict Coaches at Brunel University and we will be offering it to individuals and organisations throughout next year. 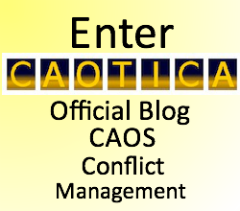 Please contact CAOS Conflict Management on 020 3371 7507 if you are interested in any of our services, or visit our website by clicking on the CAOTICA banner below.